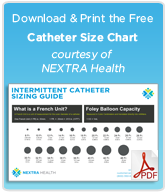 The unofficial list of Mentor Coloplast catheter and urology supplies, along with features, codes, and size options. Some products are linked to our sponsor Nextra Health for pricing. Simple, single-use silicone catheters designed for intermittent self-catheterization. All Self-Cath urinary catheters feature fire-polished eyelets, smooth silicone surface for easy insertion, and available in a wide variety of sizes and options. Designed for Intermittent Self-Catheterization. Fast, clean lubrication and maximum ease of use. Unique uncoated “Grip Zone” area for easy, controlled handling. Latex Free, hydrophilic coating. Designed for Intermittent Catheterization, HydroGel has a micro-bead lubcricant to reduce internal friction and an introducer tip that reduces bacterial contamination. 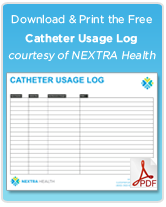 Designed for Intermittent Catheterization, Self-Cath Closed Systems are unisex systems for safe and simple cathing. Introducer tips and a secure cap aid in the reduction of bacterial contamination. The ring on the cap and the urine bag tear tab make it easy to remove – even for those with limited dexterity. Hydrophilic coated catheter set with a sterile solution in a single-use ready-to-use collection bag designed for ease of use, even for those with limited dexterity. Sterile, Latex-free Cysto-Care closed systems feature a strong introducer tip for easy insertion and reduced exposure to bacterial contamination. Lubrication and smooth eyelets ensure easy insertion. Includes a soft, large volume collection bag with durable welds to prevent leaks or breaking. 5603 Medium – Fits 90-150 lbs. 5604 Large – Fits 150-200 lbs. 5605 Medium – Fits 90-150 lbs. 5606 Large – Fits 150-200 lbs. 5607 Extra Large – Fits over 200 lbs. Ready-to-use, Latex-free hydrophilic catheter with a non-touch handle and integrated collection bag. Coloplast offers a full line of male external “Condom” catheters with varying adhesives, sheath lengths and one- and two-piece configurations. External catheters attach to a leg bag for a complete incontinence care system for men. Shorter shaft for retracted/short shafts. A complete continence system can be developed by combining a Coloplast collection bag and a Coloplast male external catheter.